Kenny, the regular sound engineer at Bowery Ballroom, truly outdid himself this evening with a flawless mix. While the Mercury show also included a soundboard feed, the sound quality of this set, with the Schoeps microphones running into a custom built analog preamp, is better than that one, in my opinion. Enjoy! 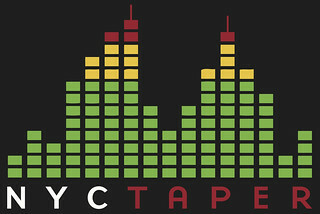 If you download this recording from NYCTaper, we expect that you will PLEASE SUPPORT Maps & Atlases, visit their MySpace page, and purchase Perch Patchwork from their official store here. With this stellar set at Mercury Lounge, Chicago’s Maps & Atlases announced their arrival as strong contenders on the indie scene. Touring behind their third release (but first official full length), the quantum-leap-forward Perch Patchwork, the band gave fans far more than originally promised, closing out with an acoustic set on the floor of the venue. Albeit in a very different way, these Chicagoans, like their neighbors in Tortoise, don’t sound like anybody else. For lack of a better term, I like to call their sound freak folk meets math rock. While the concept of “freak folk-meets-math rock” may be hard to grasp, the band’s technical rhythmic sense (including dual percussion at times), combined with singer/guitarist Dave Davison’s vocals and a vaguely folk-based guitar approach make them hard to describe otherwise. This crowd at Mercury, like many I have seen at the venue recently, were rowdy and going wild for the headliners after a strong night of music. One group was screaming for “Solid Ground” from the get go, and the version heard here does not disappoint. That song, like many from their new record, demonstrates the band’s emerging pop sensibility, and the promise of greater things to come. These guys could go in many directions from here; I can see them wearing the indie crown just as easily as ingratiating themselves to the Bonnaroo scene. As they are not easily categorized, different fans will understand them in different ways. Ultimately that acoustic set on the floor tells the story best – these guys want to play music even after most of the crowd has gone home, even after the contractually agreed set time. They can’t help themselves. Listen to Perch Patchwork and tell me if you can resist. I recorded this set with a top quality board feed combined with the Schoeps microphones. The sound quality of the main set is among the finest of my recordings with this rig and is a testament to the hard work of the Mercury production team. The acoustic set – which I had to record a bit on the fly – is a bit rougher given that there was no board feed, and the mics picked up some handling noise, but it is still quite good. Enjoy! 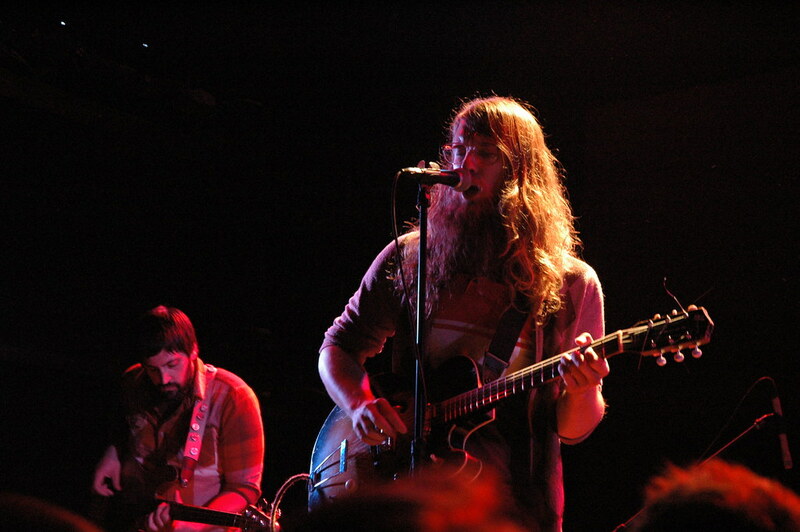 Maps & Atlases are touring Iowa and Europe in September and October. See the dates on their MySpace page. Direct download of MP3 files [HERE] | Direct Download of the FLAC Files [HERE].